We just reviewed the 2016 Audi TTS, with its 292-horsepower version of the base car’s 2.0-liter turbo-four engine. It’s perfectly fine, but doesn’t quite give us the performance kick in the ribs we want at its nearly $52,000 price point. Perhaps, then, we ought to just shell out a little more cash for the Audi TT RS you see here, which was just unveiled at the Beijing Motor Show. It’s got everything we like about the standard TT, but with a 400-hp engine underhood. Yowza. 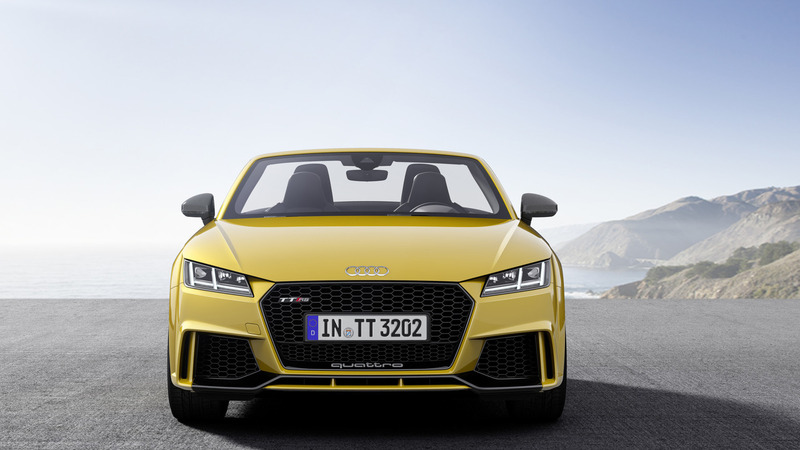 The engine in question is a 2.5-liter turbocharged five-cylinder mill – it’s a new version of the five-pot used in the last-generation TT RS. In addition to 400 hp, this engine cranks out 354 pound-feet of torque, all of which is available between 1,700 and 5,850 rpm and sent to all four wheels via Quattro all-wheel drive and a seven-speed dual-clutch transmission. Hitting 62 miles per hour should take just 3.7 seconds in the Coupe, or 3.9 seconds in the slightly heavier Roadster. Both cars’ top speeds are limited to 155 miles per hour, though Audi offers an unrestricted 174-mph top end as an option. The TT RS sits 0.03 inches lower to the ground than the base car, and at 3,174 pounds, the Coupe is 22 pounds lighter than the previous RS. 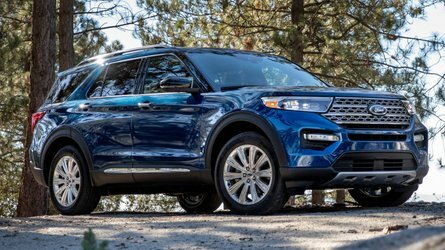 This car comes packed with way more stuff, but the redesigned five-cylinder engine is 57 pounds lighter than the outgoing powerplant. Audi says the TT RS Roadster tips the scales at 3,373 pounds, and that its cloth top only takes 10 seconds to retract and can be operated at speeds up to 31 mph. 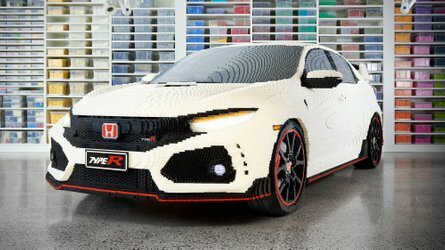 If the fixed rear wing doesn’t give it away, the RS is separated from lesser TTs with a different front fascia (with huge air intakes) and unique sets of 19- or 20-inch wheels. RS-specific shades of Nardo Grey and Catalunya Red look great, too. Inside, RS sport seats are the only noticeable upgrade versus the standard TT interior, but that’s just fine – we love the TT’s cabin, especially with that great Virtual Cockpit display front and center. Audi will launch the TT RS in Europe this fall, priced from 66,400 euros for the Coupe and 69,200 for the Roadster. The car will expand to other global markets shortly thereafter; stay tuned for US-specific pricing later this year. The five-cylinder engine is a modern classic. A jury of international motor journalists has voted the 2.5 TFSI “Engine of the Year” six times in a row. Now Audi has again added to this and is using a completely newly developed turbo engine in the TT RS. It achieves a good 17 percent more performance from the unchanged 2,480 cc capacity – 294 kW (400 hp) means a specific value of 161.3 hp per liter. The maximum torque of 480 Nm (354.0 lb-ft) is available between 1,700 revs and remains constant up to 5,850 rpm. This means that the new Audi TT RS Coupé accelerates from 0 to 100 km/h (0 to 62.1 mph) in 3.7 seconds, the Roadster takes 3.9 seconds. The top speed is regulated at 250 km/h (155.3 mph) as standard; upon request Audi will increase the top speed to 280 km/h (174.0 mph). At less than 50 centimeters (19.7 in) in length, the 2.5 TFSI engine is extremely compact and is 26 kg (57.3 lb) lighter than the previous model. Its crankcase is made of aluminum, which alone saves 18 kg (39.7 lb). The overall weight of the new TT RS and its axle load distribution benefit significantly from this. Elaborate measures reduce internal friction while at the same time increasing power output. The cylinder liners are plasma- coated; the crankshaft main bearings have been made 6 mm (0.2 in) thinner. The crankshaft is hollow bored and is therefore 1 kg (2.2 lb) lighter; the aluminum pistons integrate channels for cooling oil. In the short warm-up phase after a cold start, the switchable water pump does not circulate the coolant in the cylinder head – the 2.5 TFSI engine reaches its operating temperature more quickly. This lowers the coefficient of friction and reduces fuel consumption. The gas exchange of the five-cylinder engine is designed for high throughput. The large turbocharger compresses the intake air with up to 1.35 bar of pressure. The intercooler with its efficiency level of 80 percent reduces the temperature for the highest possible oxygen percentage. Intake and exhaust camshafts can be adjusted as required. On the exhaust side, the Audi valvelift system (AVS) changes the duration of valve opening depending on the throttle and engine speed at two levels – for moderate use at low and partial throttle as well as slower throttle response and increased tractive power at full throttle. For better mixture preparation, the new 2.5 TFSI engine works with a dual injection system. It provides the option of injecting fuel into the inlet manifold as well as directly into the combustion chamber. The angle, duration and type of injection can be variably optimized for each engine operation point. The firing interval is 144 degrees: Based on the 1-2-4-5-3 firing order, cylinders positioned directly beside each other and far away from each other fire in alternation. This results in a very special rhythm and character. The uneven number of cylinders results in harmonic frequencies that accompany the basic tone. The engine control unit also contributes to the unmistakable sound. At higher throttle, the flaps in the exhaust system open for an even fuller sound. The driver can control the exhaust flap both with the standard RS exhaust system and with the optional RS sport exhaust system with black tailpipe trims using the sound button on the center console. Lightning speed: the seven-speed dual-clutch transmission The seven-speed S tronic with lightning-speed shifting is standard in the new Audi TT RS models. The dual-clutch transmission impresses with high efficiency and a large spread – its lower gears are short and the seventh gear has a long transmission ratio to reduce consumption. A plate heat exchanger controls the temperature of the transmission oil; a new angle drive to the propeller shaft reduces the weight by about two kilograms (4.4 lb). The driver controls the seven-speed S tronic with the selector lever and the standard shift paddles on the sport leather steering wheel. When starting, a launch control system manages the maximum acceleration with minimum tire slip. Agile handling and superior stability: the quattro drive The new TT RS uses quattro permanent all-wheel drive. The electro-hydraulic multi-plate clutch is compact and light – its position at the end of the propeller shaft benefits the axle load distribution. The new quattro driving dynamics software continuously calculates the torque sent to the rear suspension. In comparison with the previous model, this is done more precisely, as the regulation of the driving status can be determined more exactly. As a result, the TT RS is even more agile. The software records the rear axle torque and, based on this, calculates the electricity that controls the electronically controlled oil pump. The resulting hydraulic pressure presses the plates together with up to 40 bar and thus transfers the torque to the rear axle. If the new TT RS is cornering at high speed, the clutch can partially send the drive forces to the rear axle already when cornering. During load changes, the distribution of torque ensures that the TT RS turns precisely into the corner. 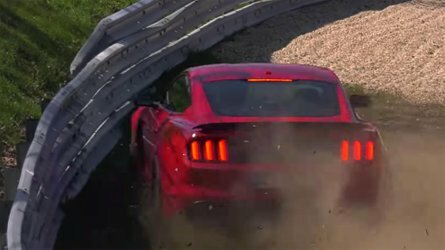 Even when drifting on a surface with a low coefficient of friction, it guarantees high control and reliability. In the limit zone, the quattro drive operates in close tandem with wheel- selective torque control, an intelligent software feature of the Electronic Stabilization Control (ESC). It gently brakes the inside wheels, making handling even more fluid and stable. For controlled drifts, the ESC offers an RS-specifically tuned sport setting. It can also be fully turned off at a switch. The electronic management of the multi-plate clutch is integrated into the Audi drive select driving dynamics system for the first time in the TT RS. The modes available are comfort, auto, dynamic and individual. They influence the quattro drive, the seven-speed S tronic, the steering, the engine characteristic and the exhaust flaps. In dynamic mode, the multi-plate clutch sends the forces to the rear axle earlier and to a greater degree. How the aforementioned technical components work can be freely configured in the individual driving program. Top technology for high driving pleasure: the RS sport suspension Targeted modifications make the chassis with the technically elaborate four- link rear suspension even more dynamic and precise. The new TT RS turns into corners spontaneously, almost voraciously, and drives through them – guided by communicative steering – in a manner that is both controlled and relaxed. The progressive steering, whose ratio becomes ever more direct with increasing steering input, is tuned to be RS-specifically sporty. The setup of springs and dampers is stiff, the body is ten millimeters (0.03 in) lower than on the base model. This also applies for the optional RS sport suspension plus with Audi magnetic ride where the damping characteristic can be changed electronically using Audi drive select. The TT RS Coupé and the TT RS Roadster are fitted as standard with 19-inch cast wheels in a five-arm polygon design with size 245/35 tires. As an option, Audi supplies 20-inch forged lightweight wheels in a 7-spoke rotor design and tires of size 255/30. Both wheel types are available in silver, matt titanium look or gloss anthracite black. The recessed hubs of the 20-inch wheels are inspired by motorsport. The braking system in the new TT RS packs a real punch. The internally ventilated, perforated steel discs on the front axle are 370 millimeters (14.6 in) in diameter. Stainless steel pins join the friction ring to the aluminum brake disc chambers to dissipate the heat quickly. The eight- piston brake calipers with the RS logos are painted black (or optionally red). Alternatively, the front brake discs are available in carbon-fiber ceramic. They are particularly abrasion-resistant and light. In this case, the brake calipers are painted grey. At the rear, monoblock discs with 310 mm (12.2 in) diagonals are used. For the first time in a series-production Audi: Matrix OLED rear lights The TT RS is equipped with LED rear lights as standard. Upon request, Audi presents an innovation. Matrix OLED rear lights (organic light-emitting diode) in 3D design. Their planar light is extremely homogeneous and high-contrast and it can be dimmed variably. It does not cast any shadows and does not require any reflectors or light guides. This makes the OLED units efficient and light. In each rear light there are four wafer-thin lighting elements that become smaller from inside to outside. The biggest one bears a TT logo and the four Audi rings. The light show when turning on the ignition is spectacular: The light runs in a fast loop over all four units. Lastly, an arrow-shaped, visually homogeneous LED light guide lights up, which complements the OLED rear light. The dynamic turn signals, which run in the direction desired by the driver, are located at the lower edge of the rear lights. Reflectors, reversing lights, and rear fog lights are positioned in the upper zone. 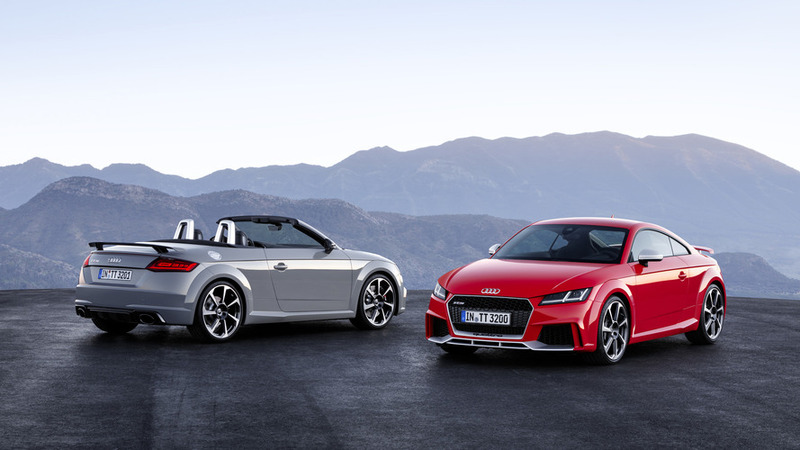 Sporty stature: the design The new TT RS Coupé and the new TT RS Roadster also display their inner strengths on the outside. Three figures summarize the proportions: 4.19 m (13.7 ft) long, 1.83 m (6 ft) wide and only 1.34 m (4.4 ft) high. The Audi designers have kept the timeless, puristic lines of the original TT and at the same time have reinterpreted numerous elements. In this way, they have enriched the exterior with striking facets. The large Singleframe bears a quattro logo at the bottom and is made even more impressive by its honeycomb grille. The air inlets, behind which the additional water cooler sits, are in the same look. Strong contours surround them, angled bars divide them. A blade finishes the middle air inlet towards the bottom. LED headlights are standard, upon request Matrix LED units are available, which control the high-beam lights intelligently and with a high level of flexibility. At the rear of the new TT RS models, the fixed wing sitting on two thin double struts is a real eye-catcher. Alternatively, Audi can deliver the Coupé and the Roadster with an automatically extending spoiler. Under the striking bumper there is a strongly profiled diffuser insert with four vertical fins, leading to the two elliptical tailpipes of the RS exhaust system at its sides. Along the flanks, the new TT RS model has aerodynamically shaped side sills. 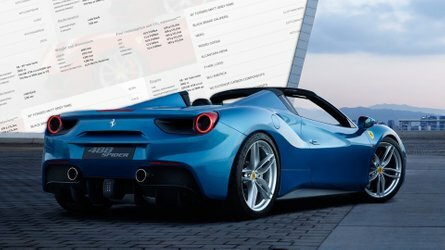 The result: a lower cd value of 0.32 for the Coupé and 0.33 for the Roadster. Audi delivers both models in nine colors, including the RS-specific tones of Nardo grey and Catalunya red, metallic. In addition to this, numerous customized paint finishes are available through the Audi exclusive program. The optional matt aluminum and gloss black styling packages set accents on the Singleframe, on the blade, on the RS rear wing, and on the diffuser insert. Consistent lightweight construction: the body With its composite construction concept, the chassis of both sport models represents a new evolutionary stage of the Audi Space Frame (ASF). The front end and the floor of the passenger compartment includes many hot- stamped steel components, which thanks to their extreme rigidity only require low wall thicknesses and are therefore very light. The structure of the passenger compartment as well as all outer skin sections are made of aluminum in the classic semi-finished product cast nodes, extruded profile and sheet metal. The new TT RS Coupé has an unladen weight (excluding driver) of only 1,440 kg (3,174 lb) – 10 kg (22 lb) less than the already very light previous model. 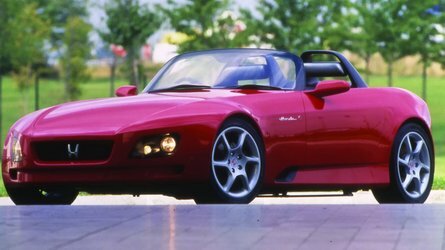 Each one of its 400 hp only has to move 3.6 kg (7.9 lb). The new TT RS Roadster, which in comparison with the base model has additional reinforcements in the substructure, has an unladen weight of 1,530 kg (3,373.1 lb). Its cloth hood weighs only 39 kg (86.0 lb) and is opened and closed electrically in ten seconds respectively – even when driving at up to about 50 km/h (31.1 mph). Audi can install an electric wind deflector and headroom heating for the RS sport seats which come as standard. Strong accents: the interior The taut exterior design of the new TT RS models is continued in the interior. The cockpit with its slim instrument panel has clean lines and is clearly laid out. Particularly striking: the round ventilation nozzles that are prominently positioned in the center console and house the controls for the deluxe automatic air conditioning. The RS sport seats are fitted low, of lightweight build, have integrated head restraints, and strongly contoured seat side bolsters (with optional pneumatic adjustment). The Alcantara upholstery on the RS sport seats features a diamond pattern. Embossed RS logos decorate the backrests. The seat upholstery in perforated fine Nappa leather, also in diamond pattern, is even more stylish. It is available in four color combinations: Black/gray, black/red, Murillo brown/gray, palomino brown/gray. Inlays are in Aluminum Race and optionally in carbon. The RS design packages in red and gray set color accents in the interior, including on the air vents, seat belts, and floor mats with the RS logo. Various leather packages that additionally upgrade elements of the interior complete the range. 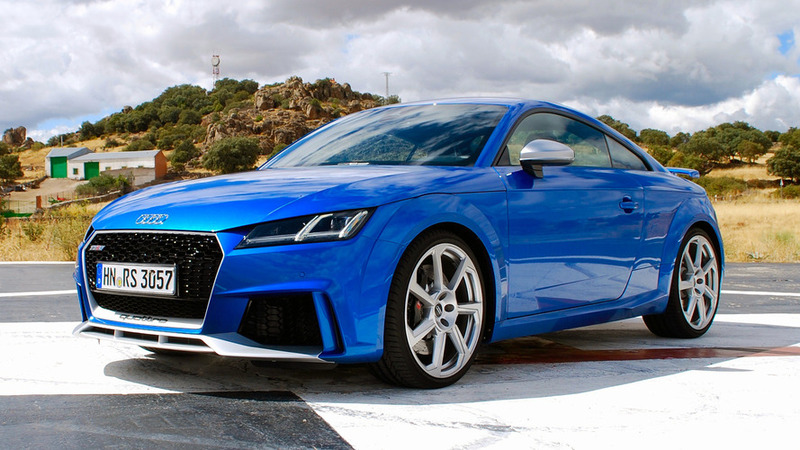 The new Audi TT RS is a sports car with a high level of everyday usability. In the case of the 2+2 seater Coupé, the luggage compartment under the long tailgate offers a basic capacity of 305 liters (10.8 cu ft), which can be increased to 712 l (25.1 cu ft) by folding down the rear seat backs. The Roadster provides 280 l (9.9 cu ft) of luggage capacity. As in motor sport: the operating concept In the new TT RS, the controls are entirely focused on the driver. All important functions can be controlled without the driver having to take their hands off the steering wheel. In addition to the multifunction buttons, the standard RS sport leather steering wheel with shift paddles provides two large operating satellite buttons for turning the engine on and off, and for the Audi drive select driving dynamics system. The standard Audi virtual cockpit is also reminiscent of the displays in a racing car. The 12.3-inch TFT screen displays all information in high- resolution, sophisticated graphics. The driver can choose between three modes. The classic view places the speedometer and rev counter in the foreground, in “Infotainment” mode the focus is on the navigation map. On the RS screen, the focus is on the rev counter with integrated speed display. The other displays, such as torque, output, tire pressure, and g- forces, can be configured around this. In the S tronic manual mode, a shift light indicates a required gear change. The top of the infotainment offering is the MMI navigation plus with MMI touch. The menu structure with flat hierarchies is based on modern smartphones, including free text search. Furthermore, there is natural- language voice control, which understands simple questions and commands, for example “Where can I get gas?” or “I want to call Peter Müller.” The microphones for the hands-free system are integrated into the belt straps as standard on the Roadster – this ensures high voice quality. The Audi connect module serves as an ideal complement to the MMI navigation plus. It brings the brand’s Internet services into the car via the fast standard LTE, while the passengers can connect their mobile devices to the Wi-Fi hotspot. The Audi phone box in the center armrest wirelessly connects the cell phone to the car antenna per near-field coupling. With wireless charging based on the Qi standard, the current flows inductively from a coil in the base of the box to a receiver coil in the smartphone. For the first time, selected apps from the smartphone manufacturer can be mirrored directly from the mobile phone to the Audi virtual cockpit per Audi smartphone interface. Ex-works, eight loudspeakers fill the interior with sound, with the optional Audi sound system there are nine and with the Bang & Olufson Sound System there are twelve. In the case of the latter, the surrounds of the woofers are illuminated by LED light guides. Marketed under the Audi Sport label, the new TT RS models will be launched on the European market in fall 2016. The Coupé prices start at 66,400 euros, the Roadster is listed at 69,200 euros.